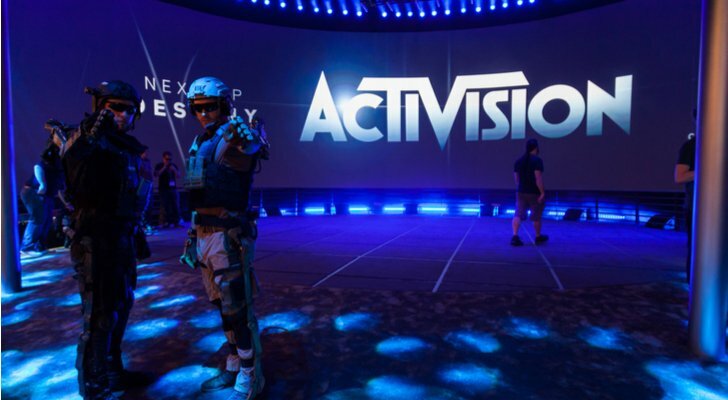 The recent stock market rout has been especially unkind to video game publisher Activision (NASDAQ:ATVI). Once thought to be a good investment heading into the end of the year thanks to the holiday release of the Call of Duty: Black Ops 4 game, ATVI stock has turned out to be the exact opposite. While the S&P 500 has dropped 7% from its early October highs, ATVI stock price has tumbled more than 30% during that same stretch. Headwinds involving regulation, operations, and valuation have all converged at the same time to shock investors, spark a bunch of selling, and drag ATVI stock price into bear-market territory. But this isn’t the time to throw in the towel on ATVI. On the contrary, this may be the time to get bullish. Of the three major headwinds which have dragged this stock to its lowest level since Apr 2017, two of them (operations and valuation) have considerably improved over the past several days. With those two headwinds now gradually turning into tailwinds, ATVI stock price has seemingly found its footing around $50. That may be the beginning of a bottoming process that will ultimately result in a recovery rally by ATVI stock over the next few months. In September, ATVI stock was a high-flyer, powered by a red-hot video-game sector, a superb launch of Call of Duty: Black Ops 4, and the improving growth fundamentals of the eSports world. But over the past several months, three major headwinds have converged on ATVI and turned ATVI stock from a high-flyer into a big loser. One of those headwinds is related to regulation. Concerned that video-game loot boxes take advantage of susceptible children by making in-app purchases a near-necessity, the FTC recently promised to look into the loot boxes. That’s a big negative for ATVI stock and the whole industry. Loot boxes have become an increasingly important high-margin revenue driver for video game companies. If the FTC steps in and curtails that tailwind, the sector’s revenues and profits will be adversely affected. The second of these headwinds involves the company’s operations. The last update the market received on Activision’s business wasn’t all that great. While its third-quarter numbers were solid, its guidance for the all-important holiday quarter was not. It came in light on both bookings and profits. That’s an important negative development for ATVI stock. The holiday quarter was supposed to set a record for ATVI, driven by robust Call of Duty sales. So the negative guidance for Activision’s most important quarter has weighed on ATVI stock. The last headwind has to do with valuation. In late September, ATVI stock was trading at over 30 times analysts’ consensus forward earnings estimate. That essentially matches an all-time high valuation for this stock. ATVI stock was given that valuation despite broader economic concerns regarding rising rates and slowing growth. In other words, Activision needed perfection to justify its September valuation. The market didn’t get perfection, so ATVI stock didn’t work. The bull thesis on Activision stock rests on the idea that two of those aforementioned headwinds have now turned into tailwinds. On the operations front, the market has been obsessed with the company’s weak holiday quarter guidance because that has been the only tangible information investors have been able to rely on. Now, though, there is an influx of tangible data which could overshadow that ugly forecast. Namely, the early read on the sales of Call of Duty during the holiday season is quite bullish. Walmart (NYSE:WMT) listed Call of Duty: Black Ops 4 as its top-selling item in the state of Rhode Island, making the title the only video game to be a best seller in an entire state. GameStop (NYSE:GME) recently reported that the sales of its software had jumped a healthy 11% in Q3, led in part by Call of Duty: Black Ops 4. Also, research firm Wedbush highlighted Call of Duty as a Black Friday/Cyber Monday winner, while other data indicates that Call of Duty is selling well in the U.K. Overall, it looks like Activision’s headline title has performed above and beyond expectations during the early portion of the holiday shopping season. As a result, it increasingly looks like management’s ugly holiday quarter guidance was overly conservative. If sales of Call of Duty continue to track higher into the end of the year, then the market will quickly forget about the bad holiday quarter guidance and focus on what could be strong beat-and-raise holiday quarter numbers. Meanwhile, the plunge of ATVI stock price has made its valuation quite attractive. Back in September, the shares had a forward price-earnings multiple of 30. Today, Activision stock has a forward multiple of just 16.6. That is below the stock’s five-year average forward price-earnings multiple of 21. It is also the stock’s lowest valuation since early 2017. Back then, ATVI stock was in the early stages of a multi-quarter rally. In other words, whereas valuation was a headwind for Activision stock back in September, it is now a tailwind, as ATVI stock is trading below its average valuation of the last five years. If ATVI’s numbers are good this holiday quarter, and they should be, ATVI stock price should be boosted by healthy multiple expansion. The company’s continuous growth drivers — increasing digital engagement and the global growth of eSports — are still intact. Meanwhile, the headwinds which have weighed on ATVI stock are slowly turning into tailwinds, leaving ATVI well-positioned to rebound. As of this writing, Luke Lango was long ATVI and WMT. Article printed from InvestorPlace Media, https://investorplace.com/2018/12/this-isnt-the-time-to-throw-in-the-towel-on-activision-stock/.